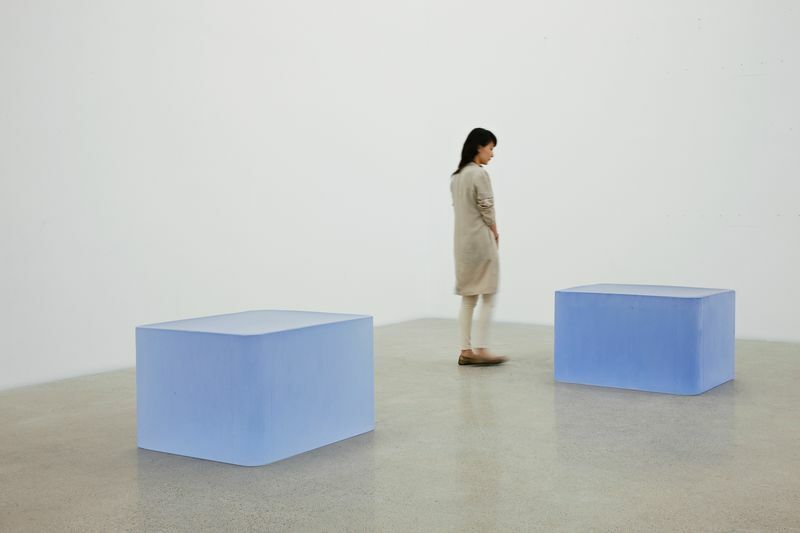 Hauser & Wirth is pleased to present a survey exhibition by acclaimed American artist Roni Horn at its Hong Kong space in the H Queen’s building. 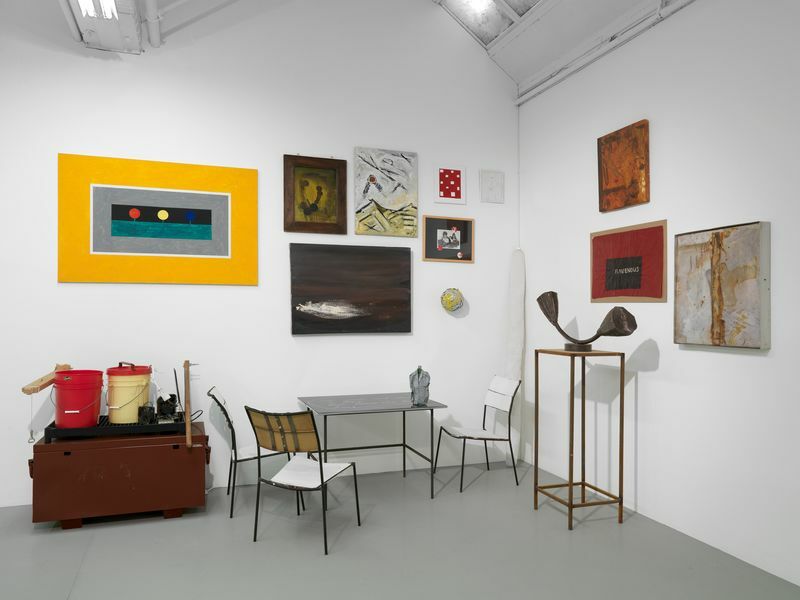 Intended as a comprehensive introduction to Horn’s multidisciplinary practice, the exhibition brings together works on paper, photography, installation and sculpture. 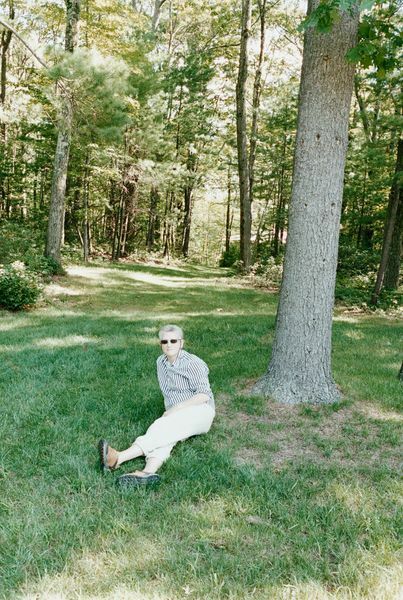 The selection comprises over 30 works created between 1983 and 2018, chosen and curated by the artist. Opening on 27 November 2018 and on view through 2 March 2019, this is Horn’s first solo exhibition in Greater China. 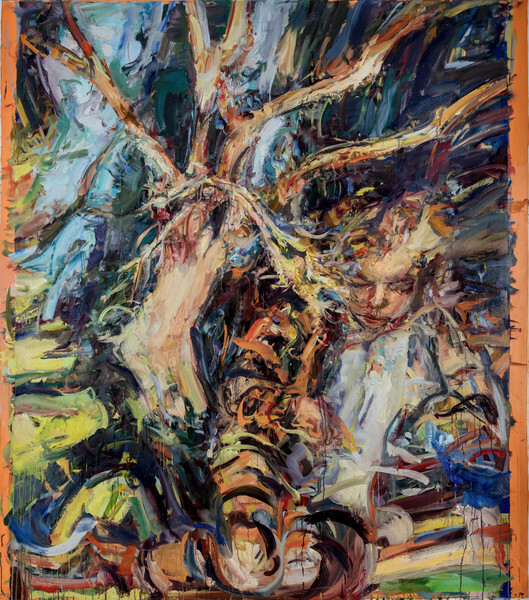 Horn’s work assumes various guises to generate uncertainty and thwart closure, in pursuit her longstanding interest in the fluctuating nature of identity, meaning, and perception, as well as the notion of doubling. 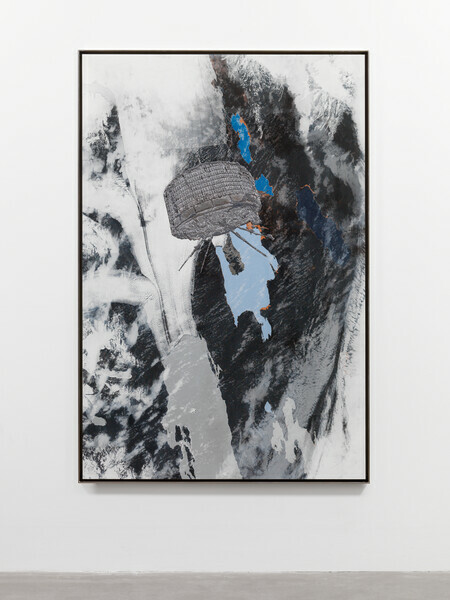 These issues continue to propel Horn’s practice, regardless of medium, and constitute the thematic underpinning to this show. 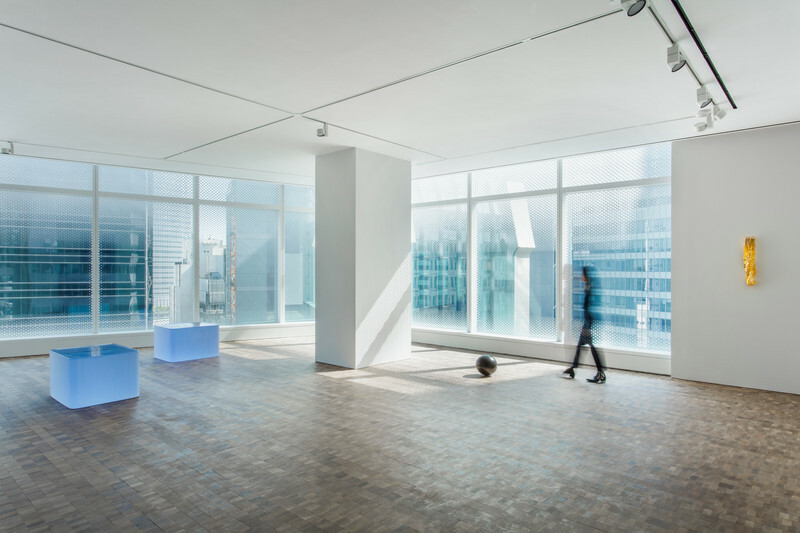 Entering the gallery on the 16th floor, visitors are confronted with a blue glass sculpture, ‘Untitled (“There is perfect conviction in everything, as if the objects were better informed about themselves and the position they took up in the world. Here you don’t wonder. You don’t have a hunch. You know.”)’. 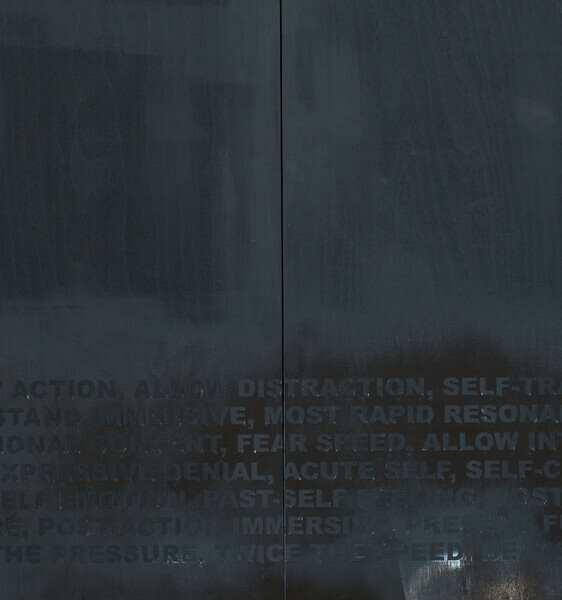 For this exhibition, the gallery’s floor-length windows have been revealed to allow the weather and sunlight to fully interact with and activate the works on view. Light becomes an element of the exhibition and engages directly with the theme of mutability. It causes the sculpture’s appearance to subtly change throughout the day, adjusting its color, weight, and perceived solidity. Just as light affects our visual perception, it also alters the emotion of the viewer, so that the natural light causes nuanced reactions to the same work. 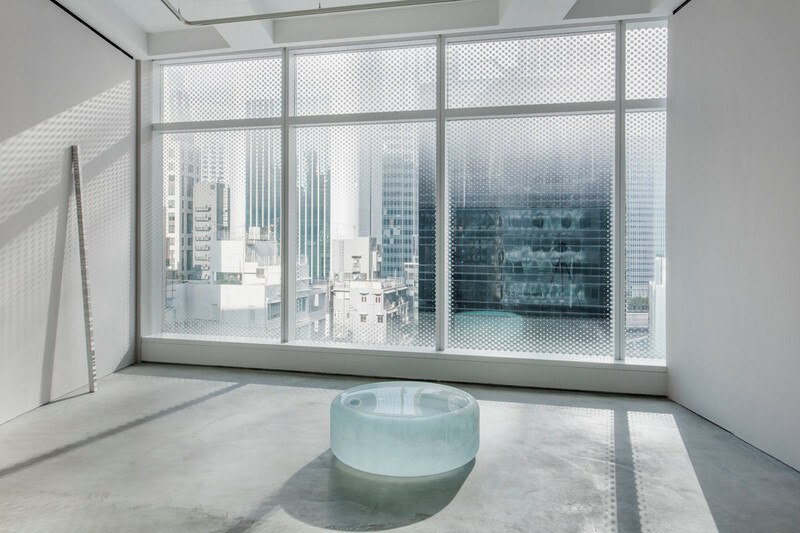 The seductively glossy surface of the glass sculpture invites the viewer to gaze into the optically pristine interior, as if looking down on a body of water through an aqueous oculus. The changing appearance of Horn’s sculptures is where one discovers meaning and connects her work to the concept of identity and the fragility of its construct. For these works, colored molten glass assumes the shape and qualities of a mold as it gradually anneals over the course of months. The sides and bottom are left with the rough translucent impression of the mold in which it was cast in stark contrast to the smooth top surface. 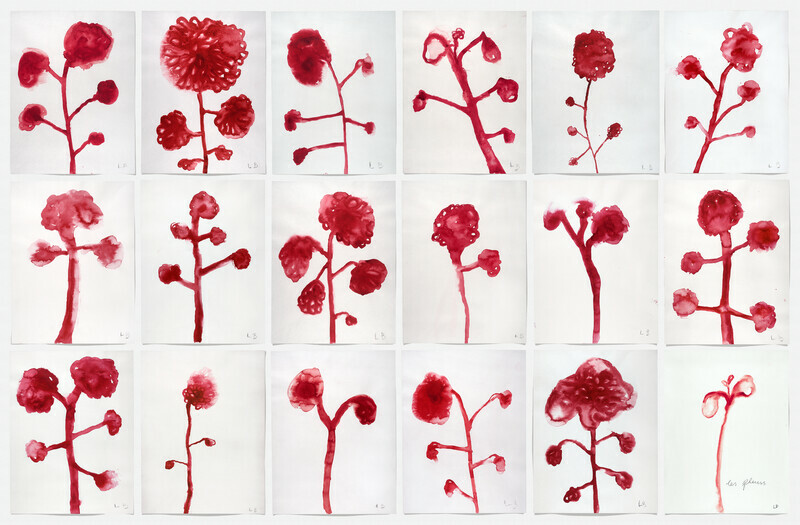 Roni Horn began to make her pigment drawings in the early 1980s and continues to make them today. The pigment is applied to the paper in thick layers, then mixed with small amounts of turpentine, and varnish, added a little at a time. It is a laborious process that lends physicality and depth to the two-dimensional works. The Hack Wit drawings employ a reconstructive method – Horn begins with two drawings, or ‘plates’, which she cuts into pieces then reassembles into new, tessellating forms. Through this process, the original drawings are fused into a single mutated composition. The subject matter is grounded in language and linguistic play: Horn reconfigures idiomatic turns of phrase and proverbs to engender nonsensical, jumbled expressions that thwart expectation. 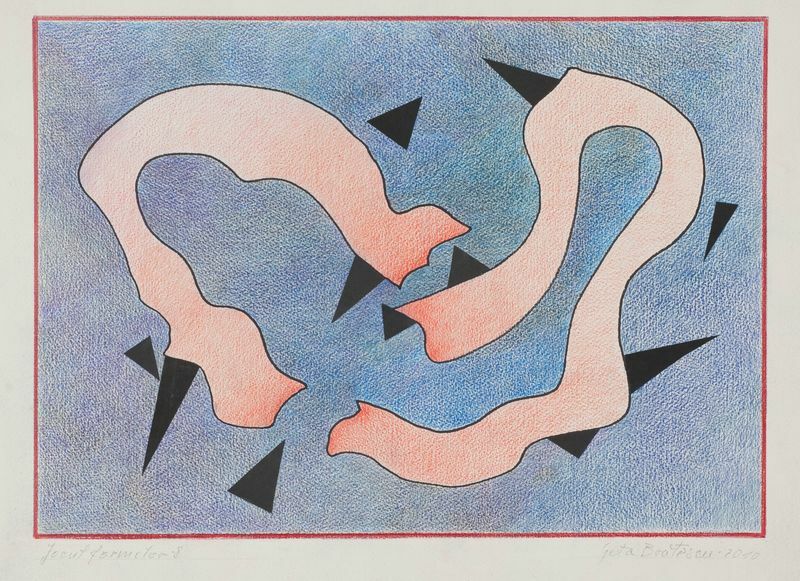 The themes of pairing and mirroring emerge as Horn intertwines not only the phrases themselves but also the paper they are inscribed on, so that her process reflects the content of the drawings.